We, Motowners, recognize the beauty of Detroit’s architecture. Now, others are finally acknowledging. The New York Times article, “Detroit’s Looking Up” by John Dorman, highlights the grand buildings from the Fisher Building to the First National Bank Building. The article delves into the famed architect Albert Kahn. Be sure to check out the NY Times story here. But, there is so much more. Frank Lloyd Wright, Yamaski and Saarinen have a large footprint in the city. As a former magazine editor in Detroit, I had the opportunity to work with the late Balthazar Korab. His architectural photography is outstanding. 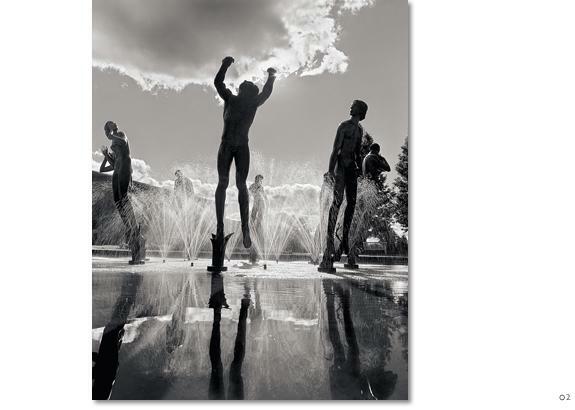 Here is his photo of the fountains at Cranbrook in Bloomfield Hills, Michigan. 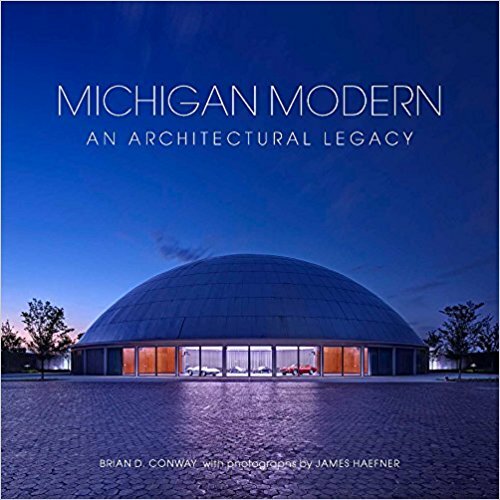 Michigan Modern, by Brian Conway and James Haefner is a new book eleased last month and features a Frank Lloyd home located in Detroit. On the cover is the General Motors Tech Center designed by Eero Saarinen.